Tricia Cassady has been involved in art since she can remember. It all started when she used to paint along side her Mother. Her other love is of nature and the outdoors. Tricia is currently a Conservation Agent for a Town, which allows her to enjoy the outdoors and find subject matter to draw and paint. Her favorite mediums include pen & ink and watercolor, which she learned to perfect through the Natural Science Illustration Certificate Program at The Rhode Island School of Design, graduating from the program in June 2006. 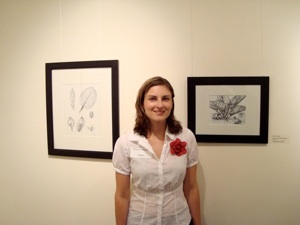 Mrs. Cassady also holds a Bachelor’s degree in Biology with a minor in Scientific Illustration from Bridgewater State College (now Bridgewater State University) in Massachusetts.